Villagers pulled out eucalyptus saplings planted near a reservoir fearing for the safety of drinking water. Some were arrested in criminal detention. Fearing that the eucalyptus planted near a reservoir would affect the safety of their drinking water source, dozens of villagers from Goucun tun (tún, natural village) of Youlan Village, Huangmian Town, Luzhai County in Liuzhou, Guangxi went to the forest hills and removed the eucalyptus saplings in June 2017. This happened after series of negotiations between the villagers and the contractor were failed. The 352.8 mu forest land was leased out to Mr. Yu in 2011 with a 20-year contract. According to the village cadres and the local villagers, there was an oral agreement that fast-growing eucalyptus and other crops that might affect the water resources were not allowed to be planted in this area. However, such kind of agreement was not written on the contract, and there is no public announcement about the terms of the contract; in addition, part of the collective members did not sign the consent forms. Since 2010, the Dayinchong Reservoir has been included in the drinking water resource protection zone, which supplies to the whole village. There are also village rules and regulations to protect the water safety of the reservoir, which stipulates that along with either side of the Dayinchong reservoir, fast-growing eucalyptus is strictly prohibited on the mountainous areas, and there has never been violated by any individuals or enterprises until Mr. Yu started to hire people cutting down all the existing pine trees and burning the hills at the beginning of 2017. The village cadres and villagers reminded him that eucalyptus is not allowed to be planted and he answered that he would plant fruit trees. Nevertheless, 400 mu of eucalyptus trees were planted in April 2017 during the busy season for silkworms. Villagers reported and petitioned many times to the township government, the local police station and the forest police, in the last negotiation, Mr. Yu’s son promised that they will remove the eucalyptus trees in 10 days, it turned out nothing has been done after one month. Then village cadres and the representative villagers went to Luzhai County with petitions to the county government, the Letters and Petitions Bureau, the Environmental Protection Bureau, the Forestry Bureau, etc. But they never got a proper response from these bureaux, neither from the contractor. 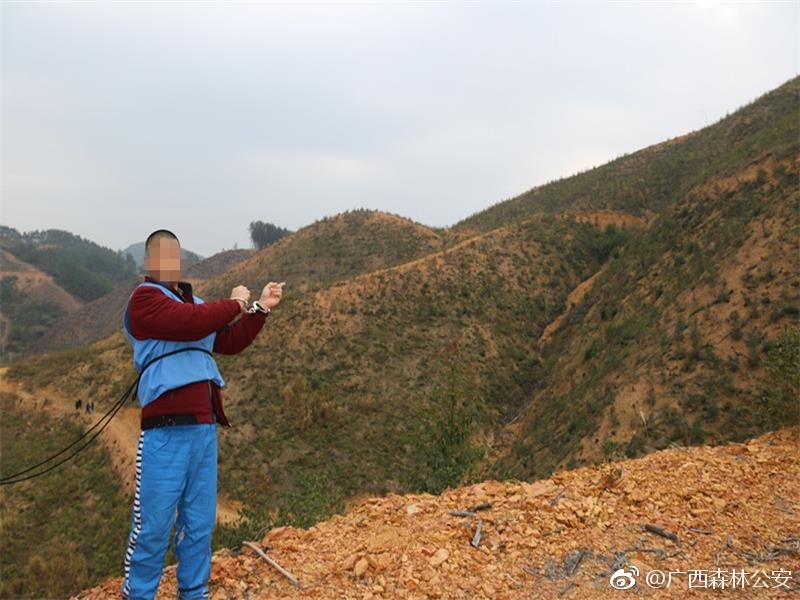 Then the villagers started to remove the eucalyptus saplings in earlier June 2017 until it was reported the Luzhai Forestry Police on 11 June that 350 mu fast-growing eucalyptus trees were deliberately destroyed by some people. Many villagers said that pulling the eucalyptus saplings was the last resort because they learned from media reports and civil opinions that eucalypts will result in the decline and depletion of land fertility, and serious damage to the original vegetation, as a result, the land would become barren and water resources will be destroyed, affecting the drinking water safety and the health of the villagers. According to the WeChat public account of Guangxi Forestry Police, 25434 eucalyptus saplings were destroyed, with a loss value of 310,200 yuan. On 12 January 2018, 26 villagers were arrested as suspects, including 5 criminal detentions. 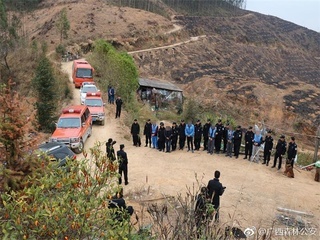 The cases are still under investigation, but other villagers are protesting online through Tianya BBS etc., referring to The Drinking Water Protection Regulations of the Guangxi Zhuang Autonomous Region , claiming that the villagers are just protecting the environment of their homeland, they have done nothing wrong and ask for release of the detained villagers before the Chinese Spring Festival. A famous public news agent - ThePaper also reported this case on the 10th of February 2018 . China has experienced a rapid increase in the number of forest plantations with the purpose of providing a resource base for the expansion of the wood products sector. During the first decade of the 21st century, China developed policies that further enhanced the wood products sector, thus encouraging the large expanse of eucalyptus plantations. Since 2014, Guangxi has undergone "sudden changes" and all levels of government are formulating a series of restrictive policies. At the end of 2014, the Forestry Department of the autonomous region issued the "Notice on Further Adjusting and Optimizing the Implementation Plan of Forest Tree Species in the Region (2015-2020)", re-planning the tree species structure and reducing the planting area of 4 million mu of eucalyptus trees, which has become the current "Eucalyptus" policy. Project Details The 352.8 mu(23.52 ha) forest land was contracted to Yu Daixian in 2011 for 20 years, starting from 1 Jan 2012 till 1 Jan 2032. Why? Explain briefly. 26 villagers who participated in pulling out the eucalyptus saplings were arrested as suspects in the name of the destruction of production, five people among them have been detained in criminal detention.